The editor has retracted this chapter  because of significant overlap with an earlier published article by Benta and Vaida . Authors Samta Jain Goyal, Arvind K. Upadhyay and Rajeev Goyal agree with this retraction. Author R. S. Jadon has not responded to any correspondence from the publisher about this retraction. Goyal S. J., Upadhyay A. K., Jadon R. S., Goyal R. (2018) Real-Life Facial Expression Recognition Systems: A Review. 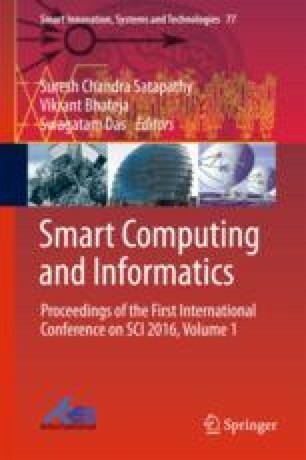 In: Satapathy S., Bhateja V., Das S. (eds) Smart Computing and Informatics. Smart Innovation, Systems and Technologies, vol 77. Springer, Singapore https://doi.org/10.1007/978-981-10-5544-7_31. K.-I. Benta, M.-F. Vaida, “Towards Real-Life Facial Expression Recognition Systems,” Advances in Electrical and Computer Engineering vol. 15, no. 2, pp. 93–102, 2015, https://doi.org/l0.4316/AECE.2015.02012.